Like I said before, winter’s fast drawing to a close whether we like it or not. I know this because I’m sitting in bed typing out a blog post and I’m not wearing multiple layers of wool tights, fluffy socks, pajama pants, merino thermals, thick wool jumpers (the answer to “but didn’t you get uncomfortably hot in the night?” is yes). And like I said last time, I’m not so reluctant to let go of winter anymore. It’s the sunshine, the flowering trees heavy with anticipatory buds, that wonderful feeling we take for granted the rest of the year of leaving the house and coming home from work while it’s still light out. And I’m getting so excited for asparagus. But the nights are still chilly (ish) and there are still plenty of pears on supermarket shelves and I’m sure we’ll be hit with one last polar blast before we can truly say spring is here. So, okay, we’re cautiously watching the ebb of the bleak, cold signs of winter. But we can still enjoy comforting puddings like this one. 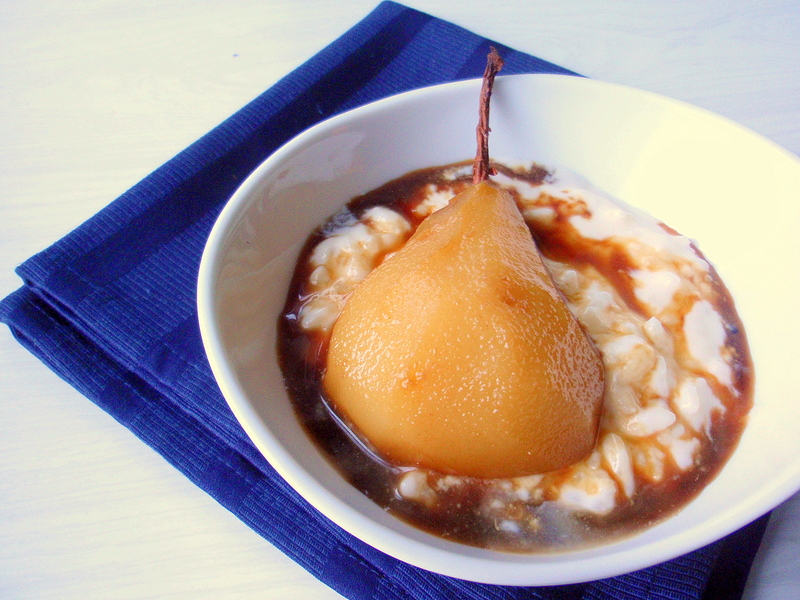 Rice pudding is one of those polarising desserts that people seem to love or hate: maybe it’s the texture, or having had too many stodgy, mealy rice puddings as a child. I remember my parents eating it when I was growing up, though I was never interested: to me, rice was something you eat along with Asian food, a savoury thing, a staple food, not something that would be good in a dessert. 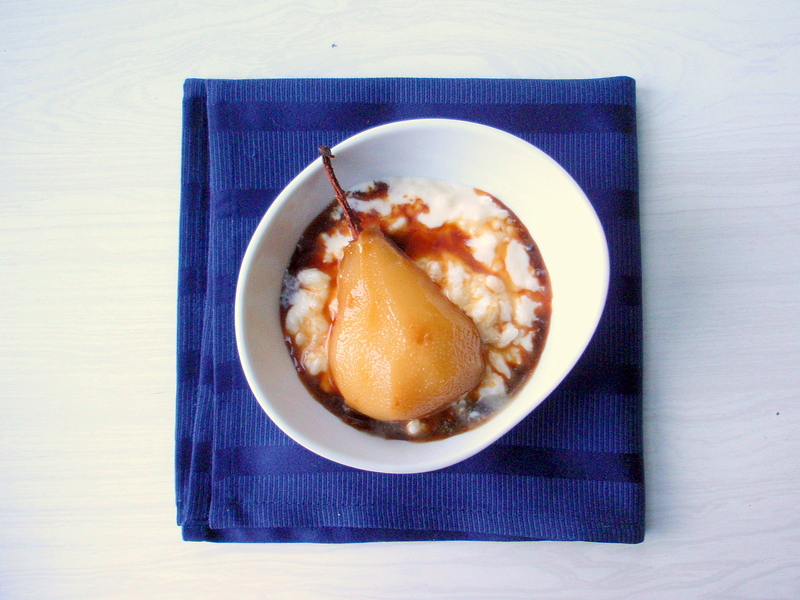 But I came around eventually, which is good, because rice pudding can be So Good – creamy, silky, sweet and comforting – and can take on so many different flavour variations. So I was excited to see a slew of different rice pudding recipes while browsing through the June/July issue of Donna Hay, enough that I was convinced to buy the magazine and try out some of the variations. This was probably my favourite: the rice is cooked in coconut milk rather than cow’s milk, and drizzled with a syrup made from poaching pears in palm sugar syrup. YES. In the end I made some changes to the recipe, mostly based on what I had in my cupboards, but found it turned out beautifully: I used a combination of half-milk, half-coconut milk (because I only had about 2 cups of coconut milk) and 2 pears instead of 4 (I only had 2 pears in the fruit bowl). It was still nice and coconutty even with less coconut milk, and I found that half a pear for each serving was just fine. Feel free to use all coconut milk if you like (as the original recipe had it) – this would be especially good for people who are trying to avoid dairy. I imagine it would work well with half-coconut milk, half-almond milk as well. I have a feeling the coconut rice pudding would work really well with fresh strawberries, mangoes, pineapple, peach – so there’s definitely potential to keep this recipe around beyond the end of winter (today!). Peel 2 rather firm pears, slice in half and remove the cores. In a saucepan big enough to fit 4 pear halves, place 2 cinnamon sticks, 1 cup (270g) grated palm sugar and 4 cups water. Heat, stirring, over high heat until all the sugar is dissolved, then bring the heat down to low. 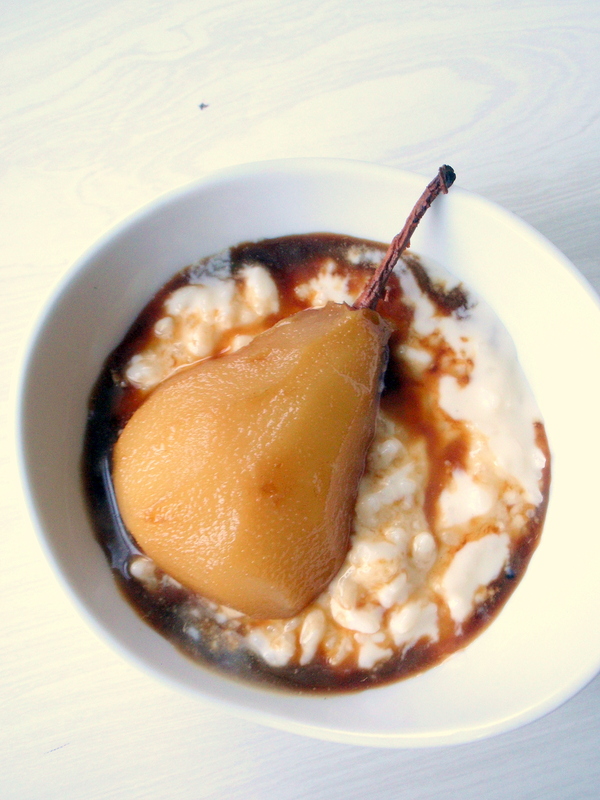 Place the pear halves into the simmering liquid, cover and poach until tender. This should take about 10-15 minutes. 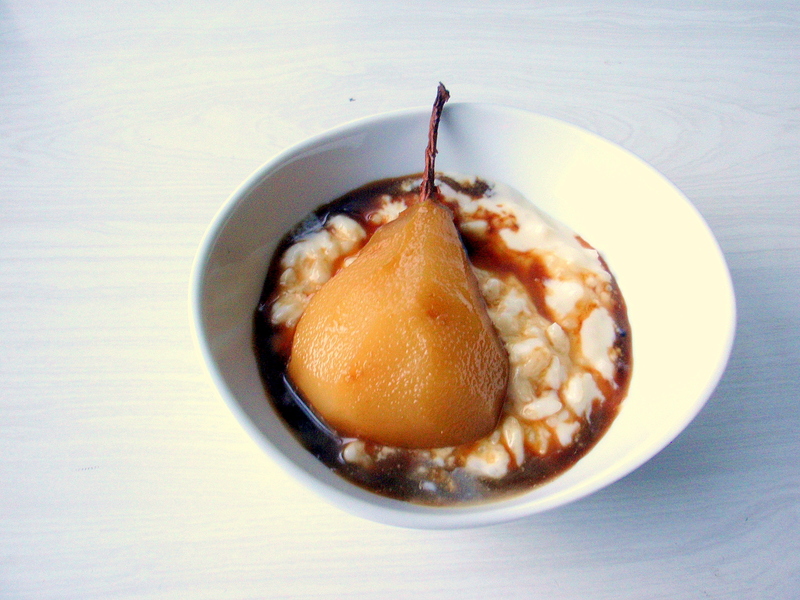 Once the pears are done, remove from the liquid and bring the heat back up to high; reduce the liquid until it starts to get all syrupy and amazing-looking. Also, your kitchen should smell beautiful right about now. Meanwhile, bring 1 cup arborio rice, 1 litre coconut milk (or 2 cups coconut milk + 2 cups milk) and 1/2 cup caster sugar to the boil in a saucepan placed over high heat. Give it a good stir and reduce the heat to low, cover and let simmer for about 25-30 minutes. Stir occasionally. Once it’s ready the rice will be tender and the liquid will have thickened somewhat so that it’s silky in texture. 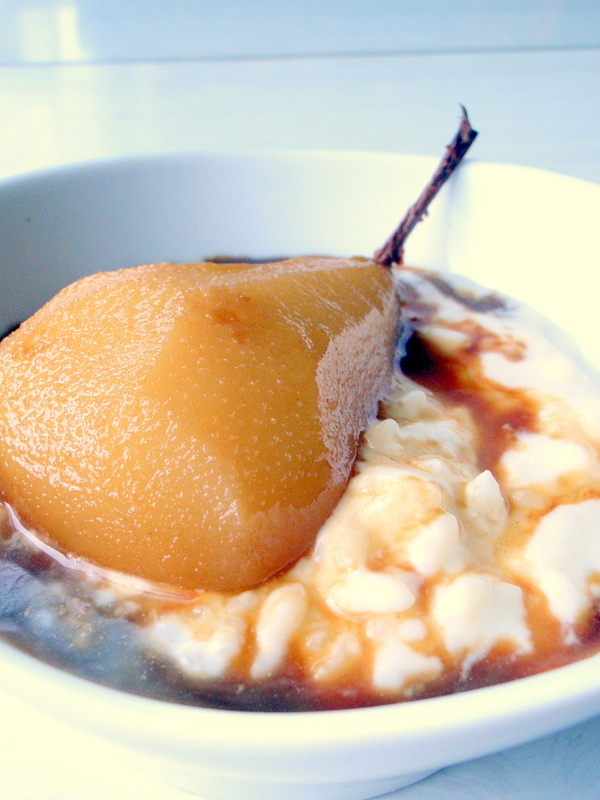 Serve hot, topped with a poached pear half and plenty of syrup. Amazing. When I was younger I travelled a lot but ate very little (in terms of variety, not volume). I was one of those awfully picky eaters as a kid, and consequentially I have hardly any food memories of places I visited growing up. Imagine a France with no cheese, Japan with no sushi*, Germany where the only thing I remember eating is peanut butter sandwiches, a trip through the Welsh countryside without… I don’t even know what food there is to eat in Wales, because as far as I was concerned all that mattered was tinned spaghetti. Clearly times have changed, judging by my trip to Singapore the other weekend, which I mainly spent wiping sweat off my brow in steamy hawker centres eating The Best chicken rice, trekking far from the nearest air-conditioning (this is bravery in 34 degrees and 100% humidity) to find my old favourite nasi lemak stall, taking a 2am stroll to eat some mighty fine bak chor mee before heading to the Arab Quarter to watch election results roll in over coconut shakes and shawarmas. I started thinking about how much my food/travel relationship has changed because I’ve got this trip coming up where I have a daytime stopover in Honolulu. Besides the exciting possibility of a midday swim, my thoughts turned to what I should eat**… and… came up with nothing besides shaved ice and spam musubi. I’ve been to Hawaii before; surely this shouldn’t be so hard, I thought. Until I realised I was thirteen when I was last in Hawaii and I probably just ate pineapples and peanut butter sandwiches (always the peanut butter sandwich) the whole time. I don’t know, I can’t actually remember. 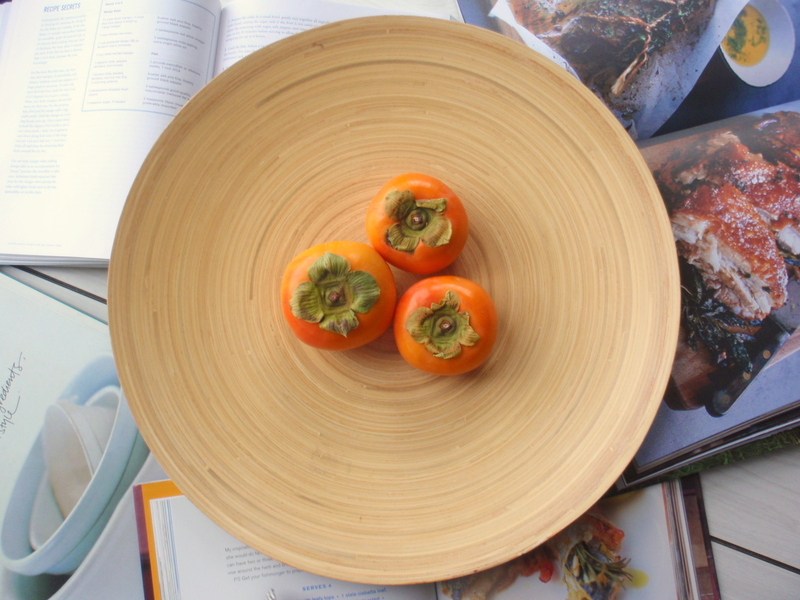 And basically this has been a very long-winded way of me getting back to the point of this blog post: persimmons. Back to Japan again for a moment: when I was sixteen I spent a year in Japan eating foods I would never have touched before, half out of politeness and half out of stubborn I’ll-show-you-ness (“bet you can’t eat natto/sashimi/basashi!” “I’ll show you!”). Somehow it turned out I actually liked most*** of what I was eating, and the most vivid memories from that year all relate to food. Japanese culture, at least as I know it, places a big emphasis on the seasons. 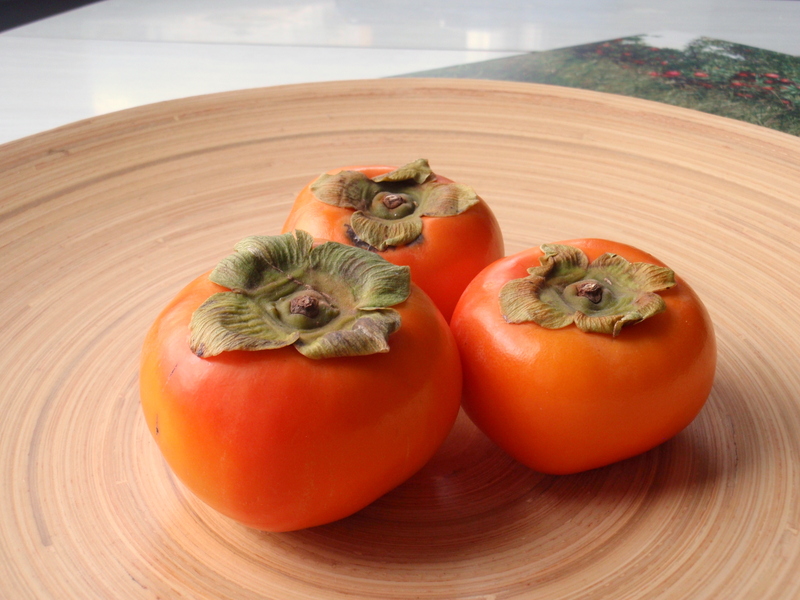 **** And in autumn, you celebrate the harvest moon by eating tsukimi udon and, among other fruits, you eat a lot of persimmons. One of my (many) favourite memories of autumn in Japan was coming home from school to a plate of exquisitely honey-sweet persimmons, cut up, stuck with toothpicks. So every time autumn rolls around and persimmons show up on supermarket shelves I get really excited and a little bit wistful for that time in my life when I couldn’t shake that wide-eyed feeling of just having discovered The Most Delicious Food In The World. Usually I just eat persimmons plain. But I’ve been dabbling in making syrups and sauces lately, and for months now (yup, I was excited) I’ve had this post-it note stuck to my computer at work with two words scrawled across it: Persimmons. Cinnamon. I think the combination sprung to mind because I liked the way the words sounded together. (Clearly the best method of combining foods. Oh, and they’re also on that same brown-orange colour continuum.) But actually, they’re both autumn-y flavours, and sort of soft and warming, so the combination works. You could make the syrup the long way (making juice from the fruit and then combining it with water and sugar to make a syrup and then straining it a couple of times through a cheesecloth so that it’s nice and clear) but if you’re short on time/energy this shortcut method (just simmering the fruit until it starts to break down a bit and the flavours permeate the syrup) works too. It’s so good in cold drinks and on ice cream and desserts and if you save the leftover stewed persimmon, it’s positively swoonworthy. *Actually, Japan without sushi would be fine. There’s so much other good food there, too, but still. I can’t believe how much I missed out on during those early trips. **If anyone knows of any must-eat foods or must-visit lunch spots in Honolulu, please share!!! ***Not so much the raw horse, it tasted fine (rather meaty) but I wouldn’t go out of my way to eat it again. ****Come to think of it, this might be the root of my near-obsession with seasonal fruits and vegetables. And seasons in general. Cut about 300g persimmons (2-3, depending on size) into cubes and place in a saucepan with 130g sugar and a couple of broken-up cinnamon sticks. * Add 2/3 cup water and bring to a boil; reduce heat and simmer until it reaches, well, a syrupy consistency. Strain through a fine-meshed sieve into a bowl or jug and pour into a sterilised bottle. Done! Now, what to do with this syrup? 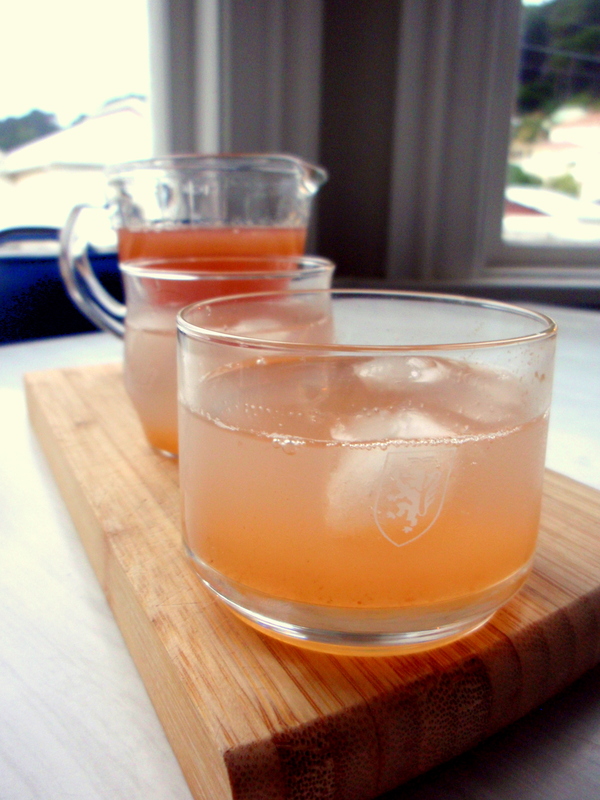 For starters, you can mix it with sparkling water for a refreshing drink. I can imagine it’d be good mixed into a rum-based cocktail too, something about those warming cinnamony undertones. Or you can pour it on ice cream, mix it into yoghurt, just about anything really. 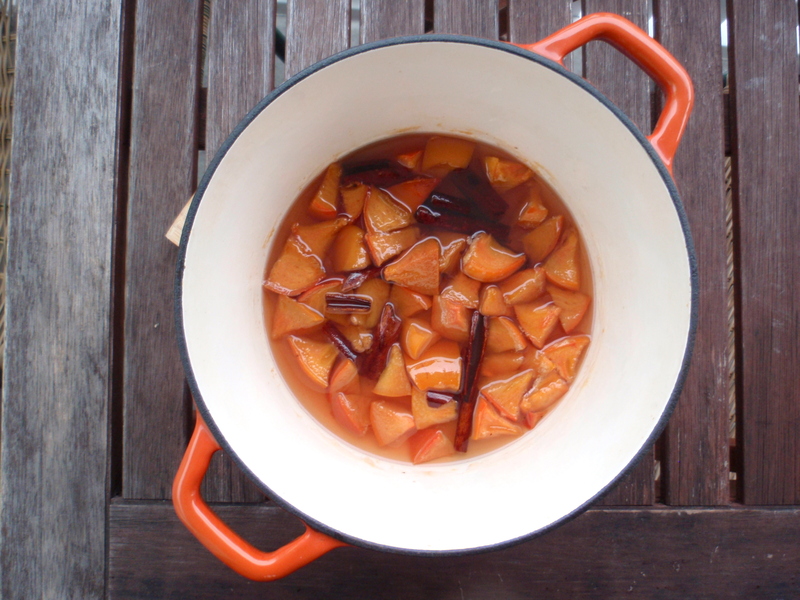 Oh, and keep the strained, stewed fruit: it’s incredibly soft, sweet and infused with a cinnamony tingle. 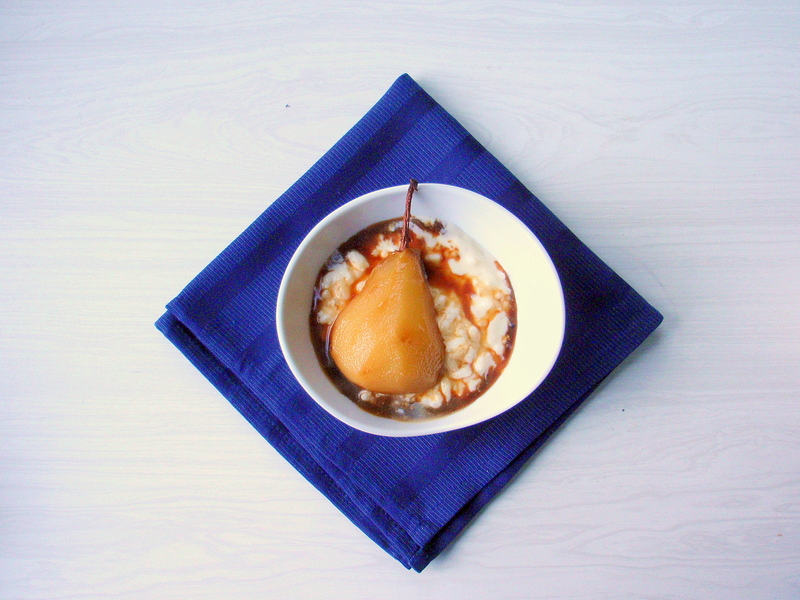 Perfect on porridge, or with yoghurt or custard. Definitely don’t throw it out (you’ll have to pick out the bits of cinnamon stick, though). 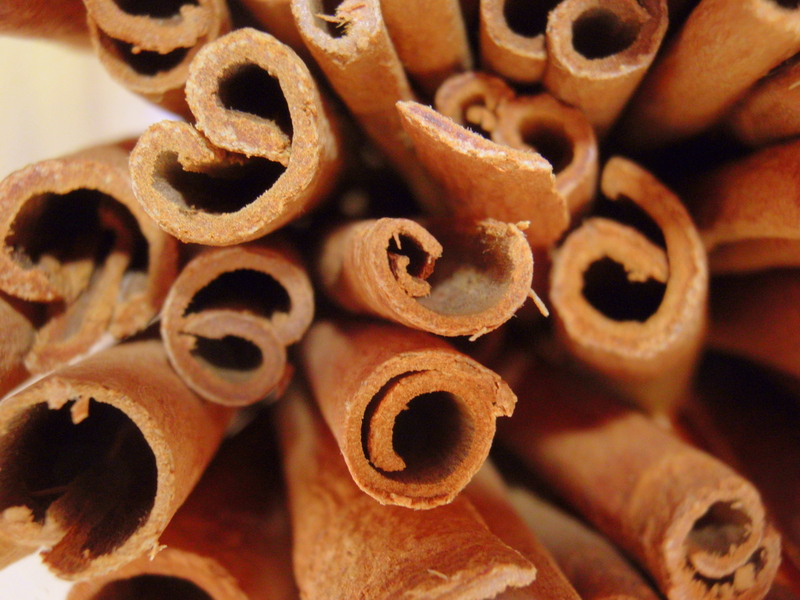 *It’s well worth using cinnamon sticks for this rather than powdered cinnamon. The flavour is more intense and you’ll retain that sunset-orange persimmon hue: they won’t turn the liquid brown like the powdered stuff might. 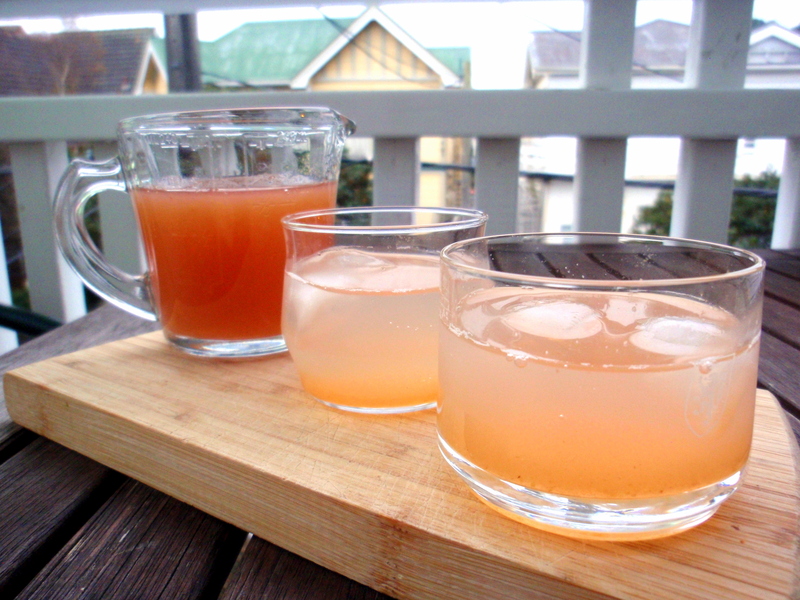 Here is a bonus recipe, because the first time I tried making this I accidentally pushed the fruit through the sieve and ended up with something that was more of a coulis than a syrup. It’s hardly a recipe: basically, do as for the syrup, but use a bit less water (or simmer longer), remove the cinnamon sticks at the end of cooking, then purée (a stick blender works great here) and strain through a sieve. It’ll be a bit thicker than the syrup. 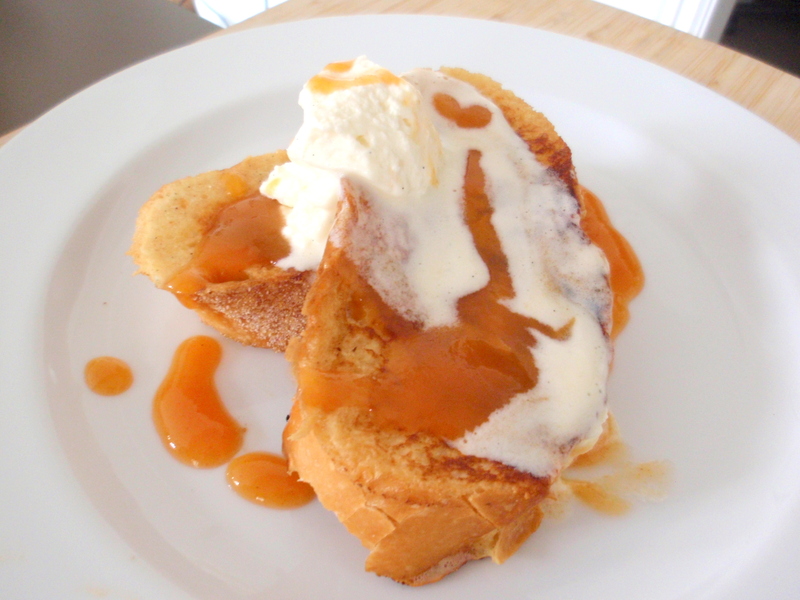 And it’s awesome on French toast.